August 2014 – Damn, I Can Make That! First of all, if you’ve never seen the movie Slammin’ Salmon with Michael Clark Duncan, please rent it! You’ll die laughing. Now back to the recipe – there’s this little shack of a place in Sag Harbor called The Dock House. Every summer we make a special trip there just for the salmon burgers. They have plenty of other seafood too, but there’s something about those burgers. This summer we haven’t been able to make the trip, so I tried to recreate them myself in the last week we have of this wonderful season. I’m sure The Dock House has a special seasoning they’ll never reveal, but these burgers are damn close. In a food processor, puree the salmon until smooth. Add in the onion, eggs, mustard, lemon juice, bread crumbs, and the rub. Grill the burgers on each side for about 10 minutes or until brown. 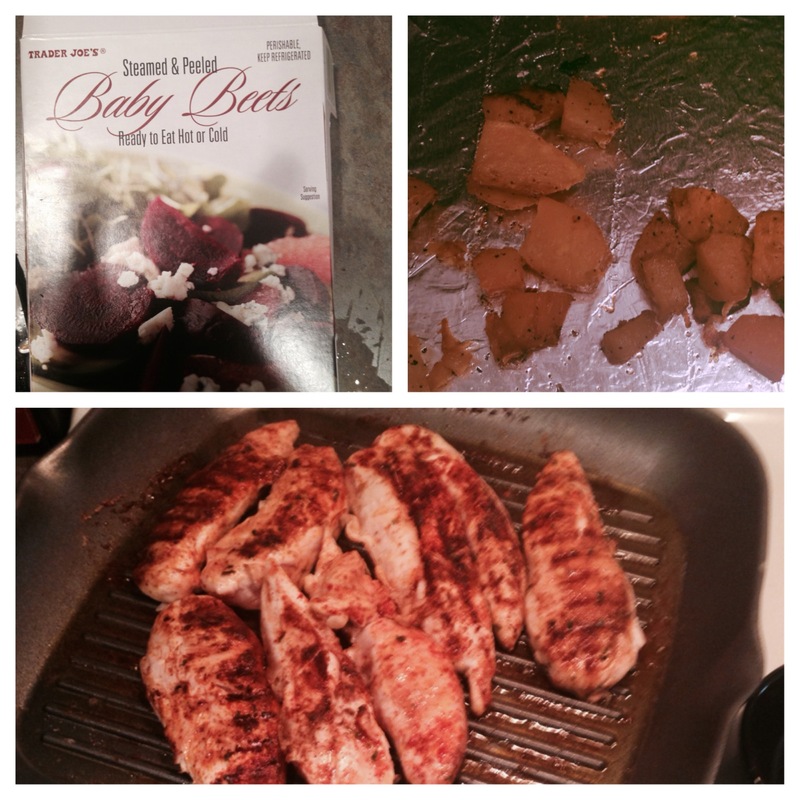 You can also pan sear them, or broil them for 15 minutes. While they’re grilling, whip up some homemade tartar sauce for a dollop on top. My friend and I snuck in a couple minutes late (don’t get me started on parking) and although we only snagged seats in the back, we could still see her clear as day. The best lobster: The best time to buy and cook a lobster is right after they molt (shed their shell). You can tell when the time is right because they are a much brighter red than the rest. This is when the shells are the softest and the meat is the sweetest. Cooking clams: Forget about boiling water, it’s much simpler than that. Get a big skillet and spread the clams in one layer on the bottom. Grind some black pepper over the top of them and cover. Cook on medium heat until they open, anywhere from 5-10 minutes. Want to make some crab meat salad? Peking crab meat is the sweetest, and in her opinion, the best. Her favorite pasta dish to make includes bottarga (salted fish ro from mullet or tuna). Buy the bottarga pressed so you can shave it over the pasta noodle of your choice. For the sauce, combine breadcrumbs, parsley, chopped onions, and capers. Her favorite kind food is Japanese. (Fun fact: Although it may seem simple to prep, the ingredients take years to cure. Seafood for instance can take up to 24 months to dry.) If you’re ever in the NYC area, her favorite sushi restaurants are Sushi Nakazawa and Ichimura. Her favorite dish, however, is her mother’s perogies. I always admired Martha Stewart because she was “Martha Stewart!”. However during this conversation, you could see she’s more than just the brand. She exudes passion for everything she does; from sustainable farming, family recipes, to living a healthy lifestyle. Stay tuned for Martha’s holiday tips! 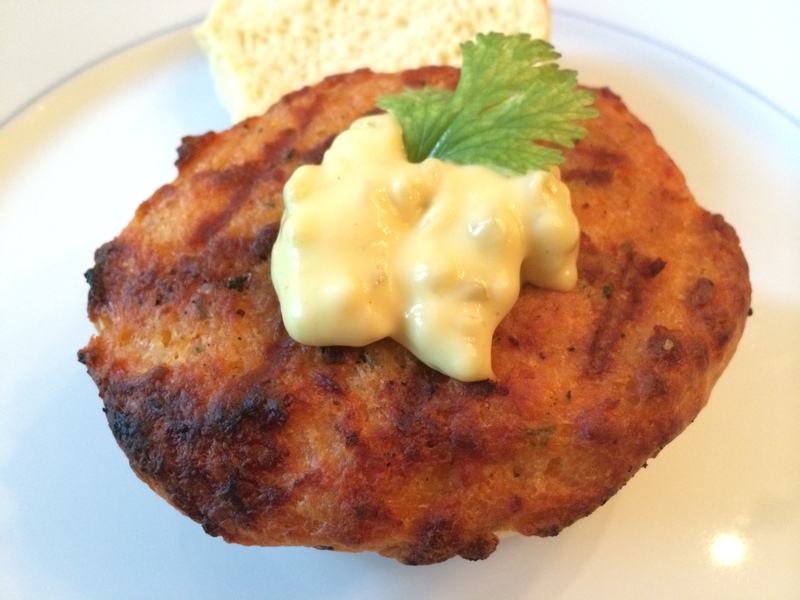 The sun is shining, breeze is blowing, I’m grilling salmon burgers…but I forgot the sauce. S**t. I know this has happened to all of you at least once (me, more than I’d like to admit). I’m not one to just up and run to the store, so what did I do? Made my own of course! I never gave a second thought as to what goes in to tartar sauce, but it’s a lot easier than you think. I’m almost positive you already have all of the ingredients.Plus, I don’t know about you, but I could never use a whole bottle of the stuff before it expires. So the next time you’re cooking and have an “oh, s**t” moment, don’t panic! Mix it all together, and I mean really blend it. Put a dollop on your salmon burger (or fish tacos) and you’ve officially saved yourself a trip to the store. Beet Salad with Fried Goat Cheese. Oh right, like I wasn’t going to trash up the health benefits of a salad by pan frying cheese. Puhlease. I don’t eat to live, I LIVE to eat. I need it to be tasty! Now, some of you a) don’t want to take the time to fry the goat cheese b) hate goat cheese and its strong flavor. Don’t fret, my pet: use gorgonzola or mozzarella instead! Be your own boss. Anyway, I was jamming out to some beats on the way to work this morning and told myself I was going to make a salad for dinner tonight (you know more time for a dance party when there is no hard cooking involved). Hmm what do I have lying around that could make my salad awesome, yup canned beets. Now I know you are thinking “ew canned veggies” gross on the preservatives etc etc. BUT, I don’t have the time or energy to deal with real beets so get over it. Plus “lipstick” as I used to call it when I was younger (you know because of the way beets stain your lips with that gorgina red/purply color). Anyway, “lipstick” doesn’t need to be fresh, if anything the fresh stuff requires tons of work with either boiling or pickling and listen here, Id rather focus my prep time on my cheese, so there. Oh and now I am going to be a total “Cheeseball” and play MJ’s “Beat It!” for my beet salad. LOL #nerd #corny. 1 can of the DelMonte sliced beets (14.5 oz. and drain them obvi). Freeze the goat cheese for about 30 minutes until its solid but not totally frozen. While the cheese is hardening, mix together panko bread crumbs, seasoning, salt, pepper, set aside. Set up a breading line in the following order: flour, egg, bread crumbs, parchment/wax paper covered large wooden cutting board. Remove cheese from freezer and slice into 1/2 inch rounds by using plain dental floss or a knife. If using a knife make sure to wipe it off after each cut to stop it from crumbling. If any of your pieces fall apart just pat it together and try to keep a somewhat round shape. It does not have to be perfect. Take goat cheese rounds and dip in flour, then egg and then goat in panko/herb mixture. Lay onto lined cutting board. Continue until all slices have been coated. If your cheese is really soft pop it into the freezer for about 5 minutes to chill. Take a large high-sided skillet, cover the bottom with olive oil and add to range over medium-high heat. Once oil is hot, fry goat cheese rounds until crispy on both sides. Gently remove fried goat cheese from the skillet onto a paper towel lined plate to help soak up any remaining olive oil. Serve fried goat cheese warm. Toss greens with the nuts and balsamic vinegar, add the beets before laying 1-2 goat cheese rounds atop the salad.